Patricia Duchaussoy is a professional dancer since over 35 years, a Pilates senior master instructor and the creator of the YogaFly Method. While performing for dance companies in Paris and London, she was introduced to the Pilates Method through Alan Herdman, an exponent of Joseph Pilates’ authentic technique and leading practitioner in the UK. Thereafter, she became a certified Romana’s Pilates Instructor and certified STOTT Pilates Instructor. As an enthusiastic pioneer in the field of body movement, Patricia was the first person to bring Pilates to the people of Thailand in 2001. In her Bangkok studio “The Pilates Station”, Patricia has helped thousands of people to improve their posture and condition their body. Her years of experience and commitment to quality have made her one of the most highly regarded instructors in the area. In 2009, Patricia was inspired to create the YogaFly method, a contemporary approach that combines Yoga, Pilates and aerial dance. Thanks to the quality of her teaching and the rigor of her method, the new discipline was quickly met with passionate enthusiasm. People from all over Thailand, South-East Asia, France and various European countries take part in her trainings and bring the know-how back home. That’s when she realizes that her method is reproduced, distorted, transformed and gradually losing any educational consistency, becoming sometimes even dangerous. Therefore, she was seeking a solution that would allow a uniform professional supervision at the international level. Yoga Fly was created in 2009 by Patricia Duchaussoy at the Pilates Station Bangkok, Thailand. In August 2011, the first ever movieclip about Yoga Fly by Patricia is published on Youtube (https://youtu.be/6QQrXBeXJ0Y). As a result, many people got inspired and keen to try Yoga Fly. 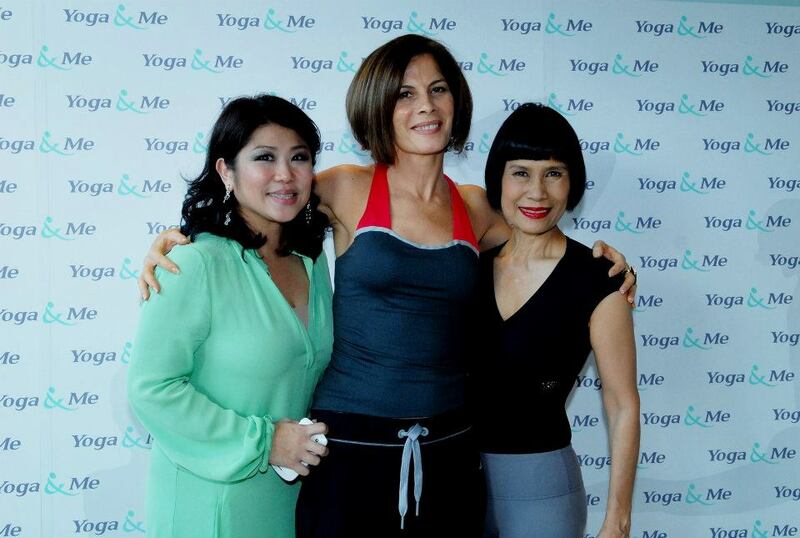 In late 2011, even Her Royal Highness Princess Sriasmi (Royal Family of Thailand) visits Master Patricia to be introduced to YogaFly. Inspired by the professionalism and the teaching method of Master Patricia, her royal highness asks Master Patricia to train Acharpan “Pa Gee” Paiboonsuvan and her team to bring Yoga Fly to the royal studio Sukho Yoga and to her joint venture studio Yoga&Me. Thereafter, Yoga Fly becomes famous and widely recognized in very short time. All major TV channels and mainstreaming magazines in Thailand report about YogaFly by Patricia Duchaussoy. In the meantime, many people around the world have picked up to practice aerial fitness. The supply and demand for YogaFly-alike classes has increased very fast. Especially in Thailand and China, many people have received training from Master Patricia. Sadly, some of the people who were trained have copied the teachings of Master Patricia and claim themselves to be the creators of the Method. However, Master Patricia and her Yoga Fly Team are confident that genuine people who want to learn from the Source and the Real Master will find their way into the truth. As the demand for a professional training in Yoga Fly is constantly growing, Master Patricia establishes the Body Fly International Academy (BFIA) in 2013 together with a small team of other professionals. This Hong Kong based organisation provides a standardized educational framework to streamline the high standards in safety and quality for instructors and facilities on an international level. Since then, Yoga Fly Instructors are trained in compliance with these high standards. They are gathered in a network of professionals, supporting continuous education and exchanging state-of-the-art knowledge to constantly improve and maintaining the high quality of the Yoga Fly method.